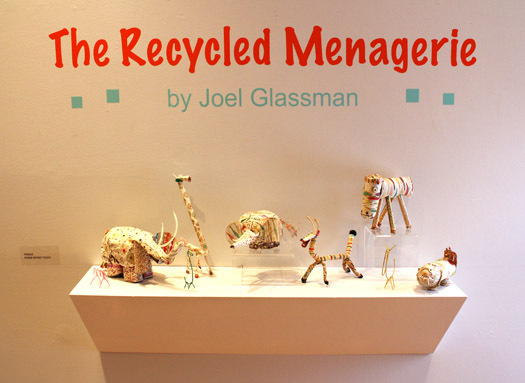 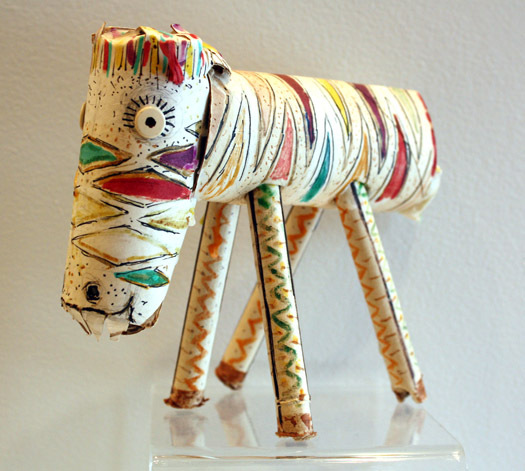 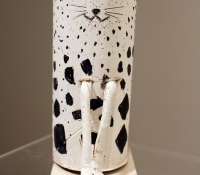 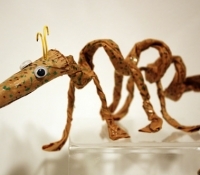 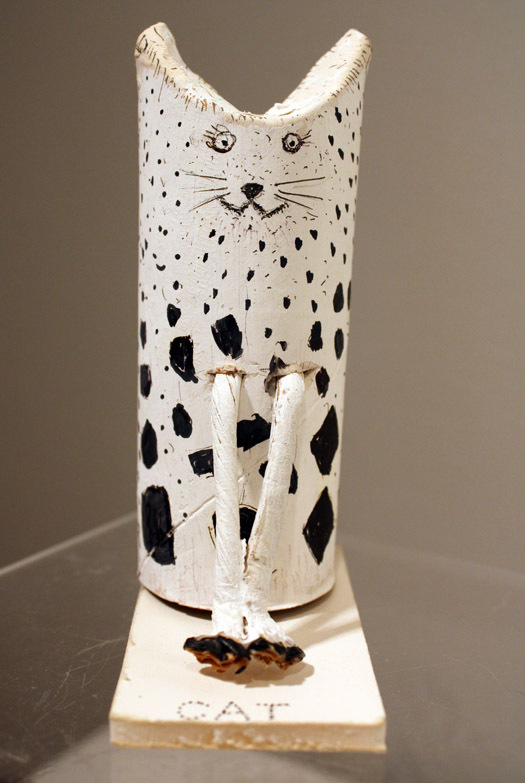 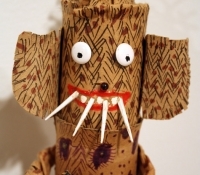 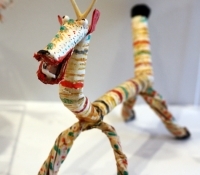 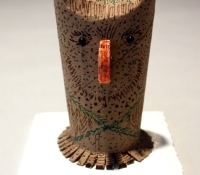 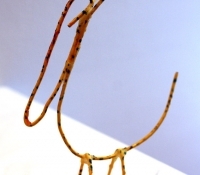 The Recycled Menagerie, a delightful collection of whimsical creatures created by the late Joel Glassman (1911-2007), opened last week at the Center For Maine Contemporary Art. 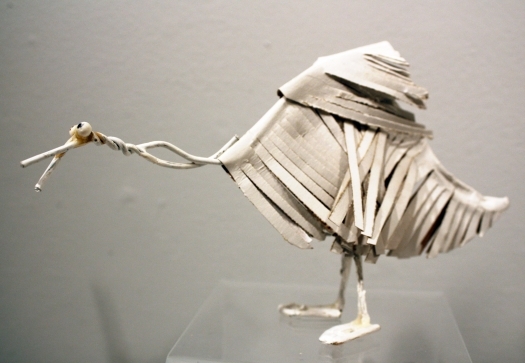 Made almost entirely from discarded and recycled materials, the work is an inspiration in the true, dictionary-defined sense of the word: the process of being mentally stimulated to do or feel something, esp. 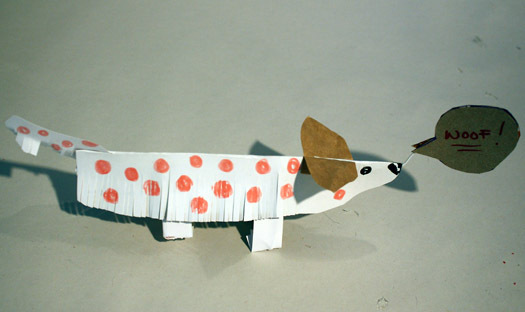 to do something creative. 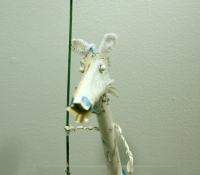 so that after looking at Mr. Glassman’s work, people of all ages (in the ArtLab spirit) could create their own creatures. 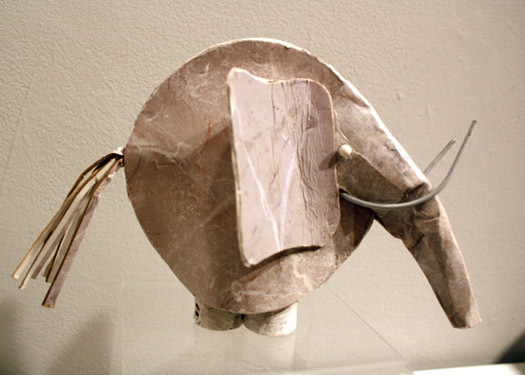 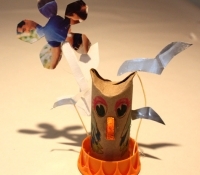 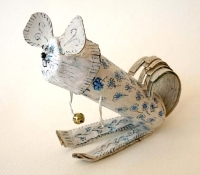 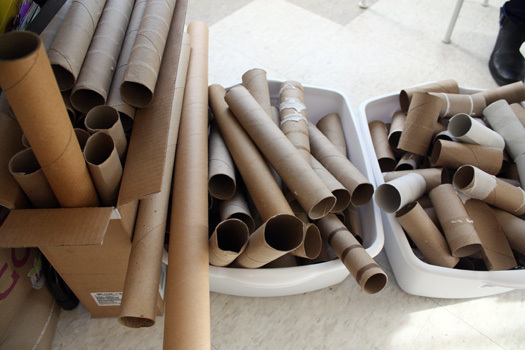 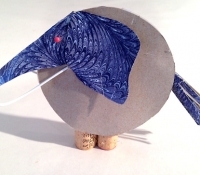 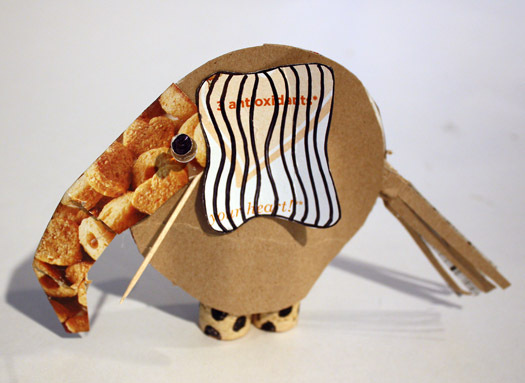 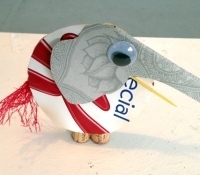 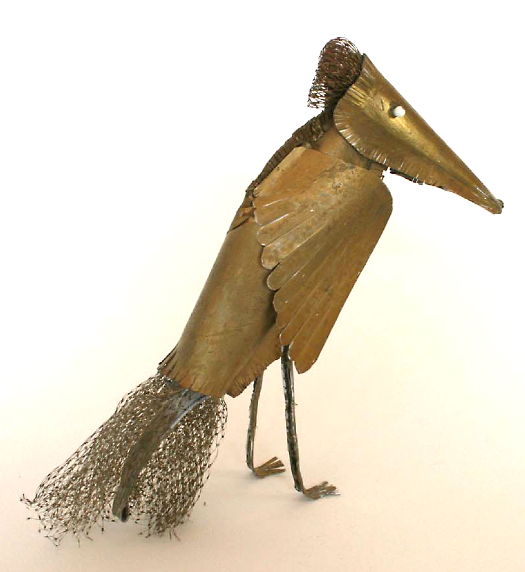 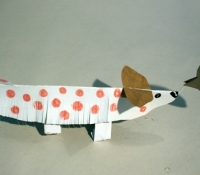 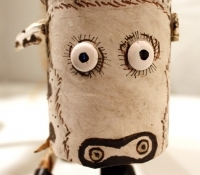 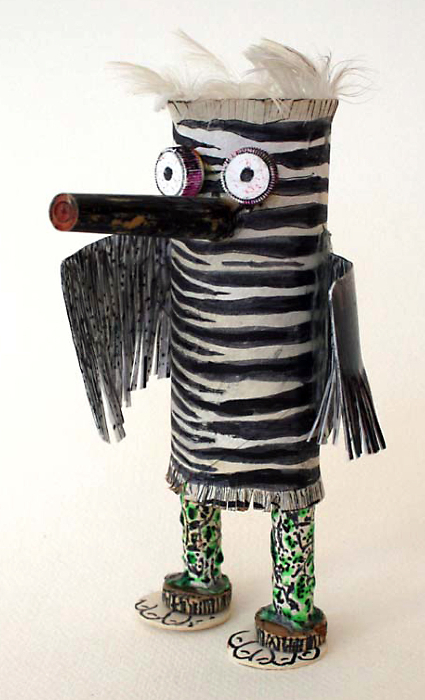 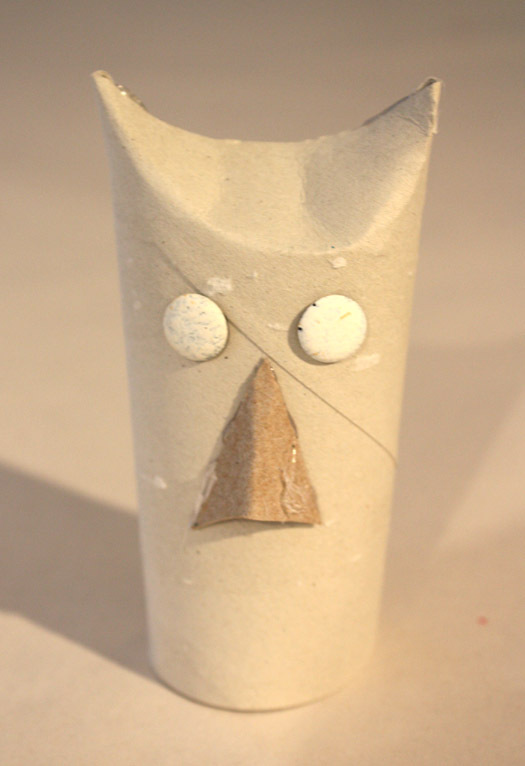 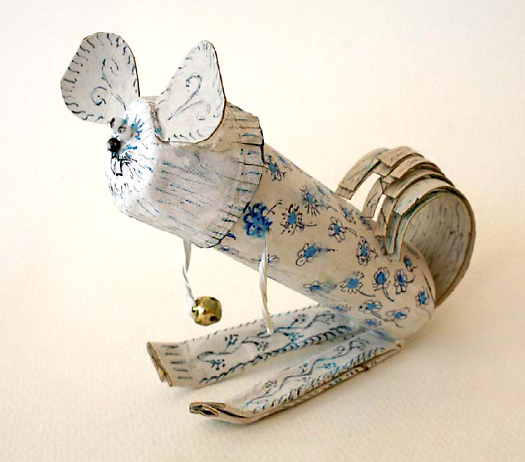 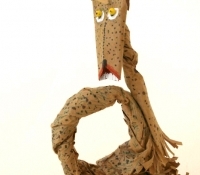 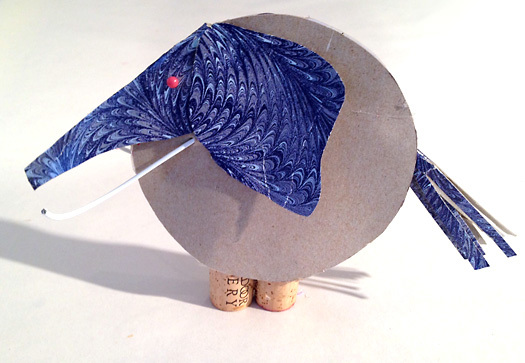 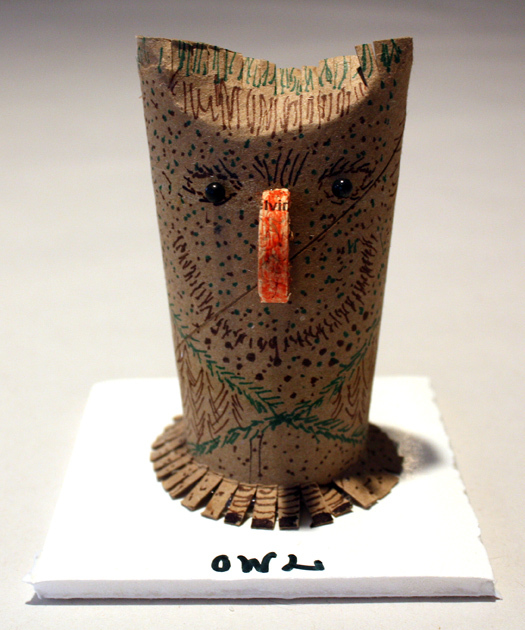 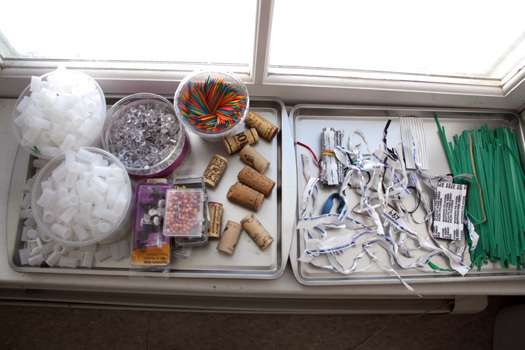 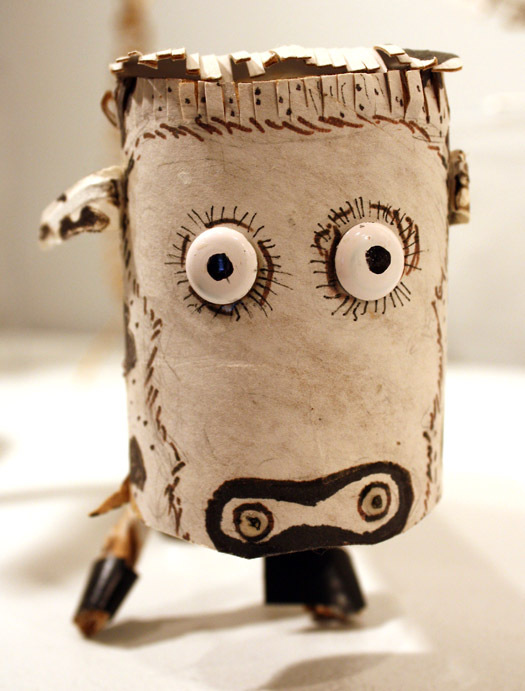 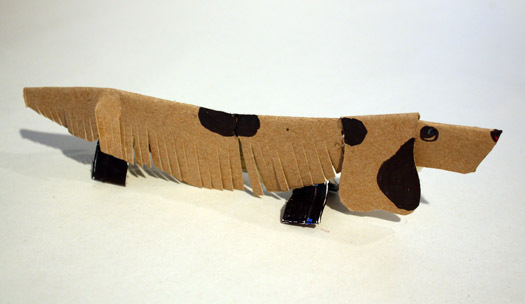 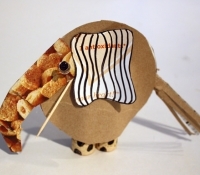 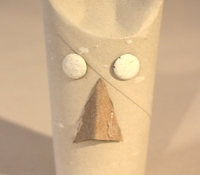 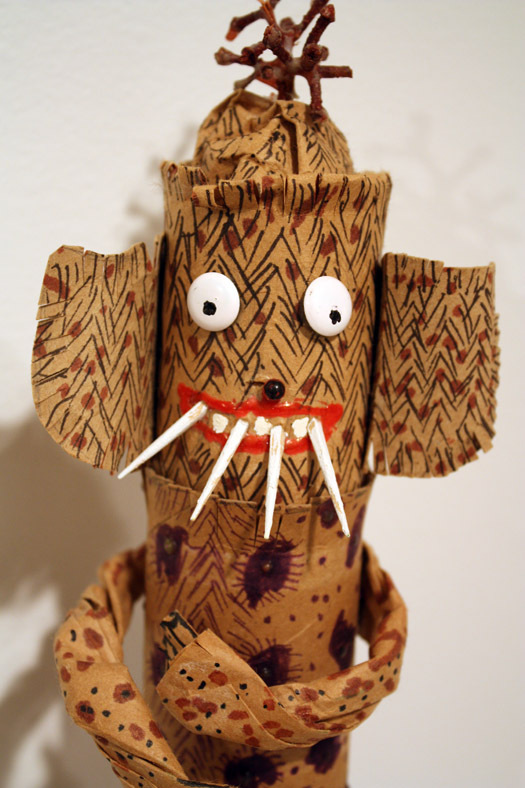 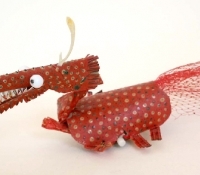 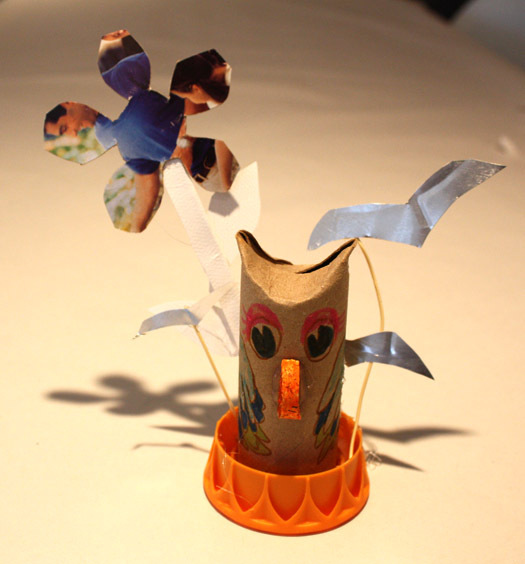 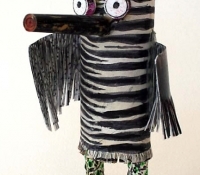 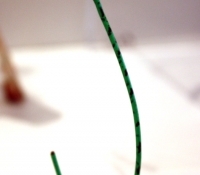 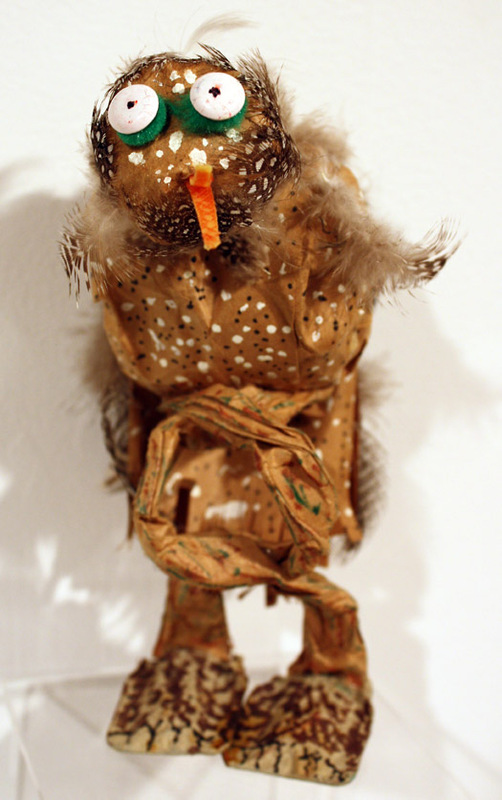 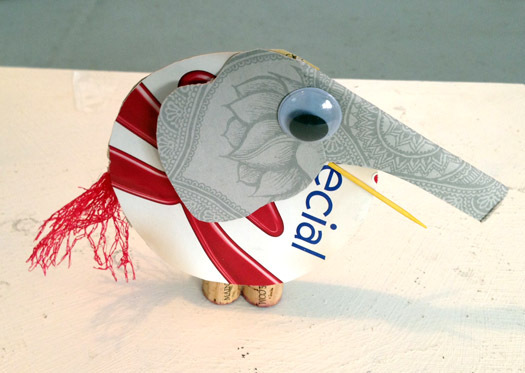 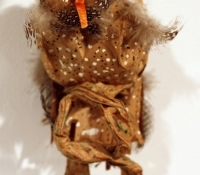 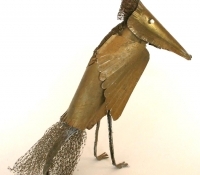 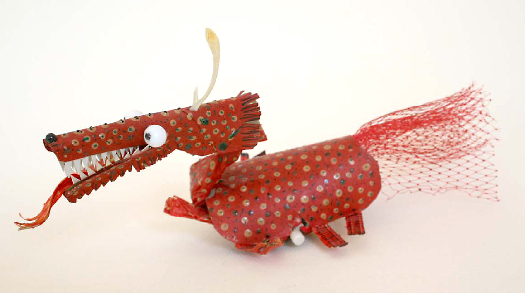 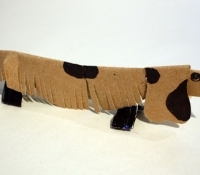 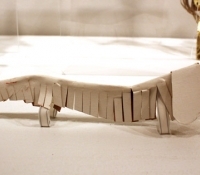 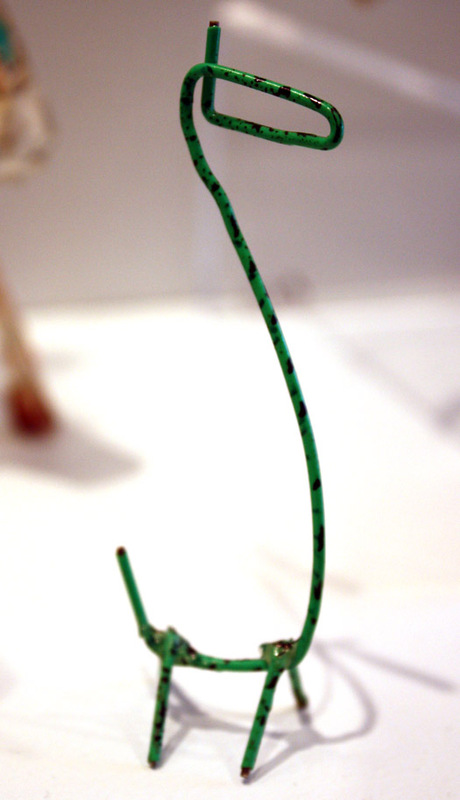 Many artists work with recycled materials, and many create creatures both real and imagined. 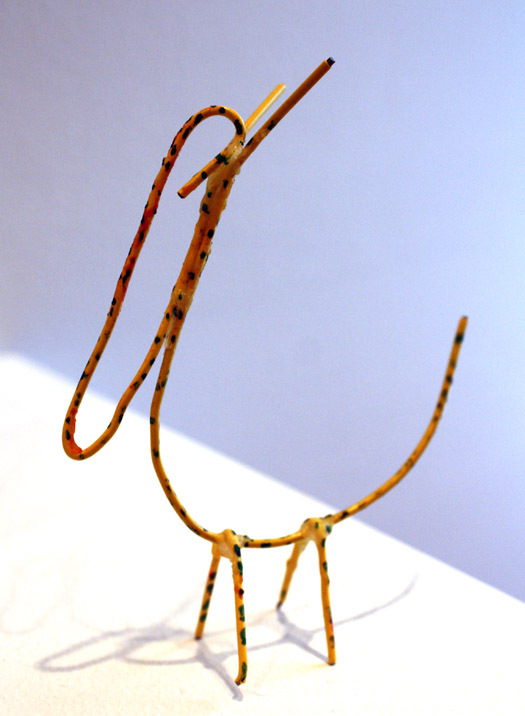 But there is something quite special about the Glassman collection. 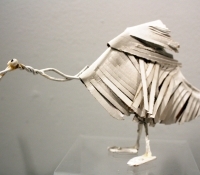 Not simply witty or artful, these works are a celebration of their materials, which are generally considered to be trash. 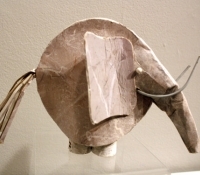 Given this sensitivity to the unique properties of materials (wire, cardboard, sponge), it should be no surprise to learn that Mr. Glassman was a shoe designer. 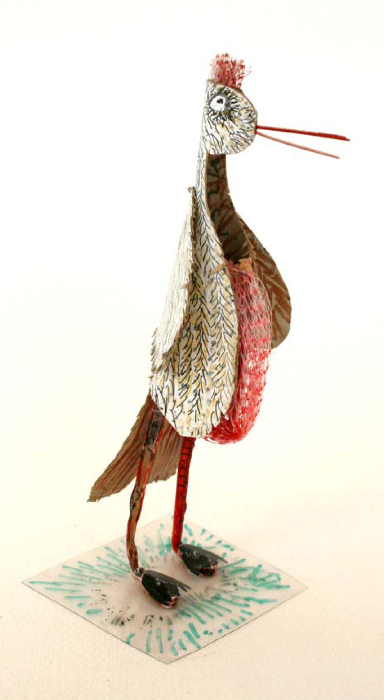 Born in Philadelphia in 1911, he began designing shoes at age 17, and continued to design for clients until age 94. 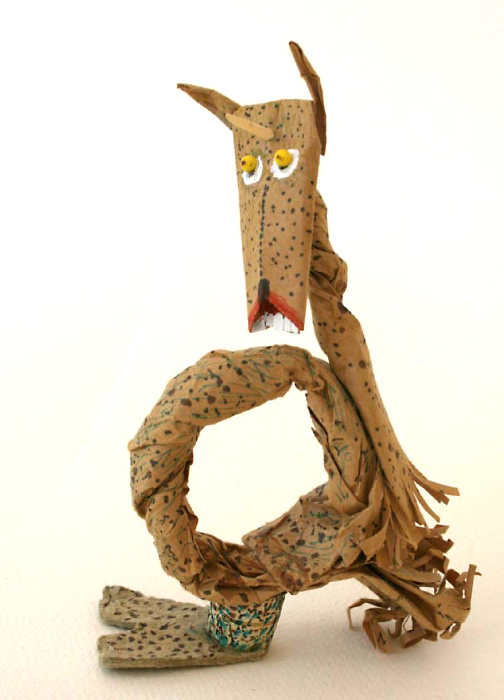 Joel and his wife Eleanor lived in Italy for 15 years. 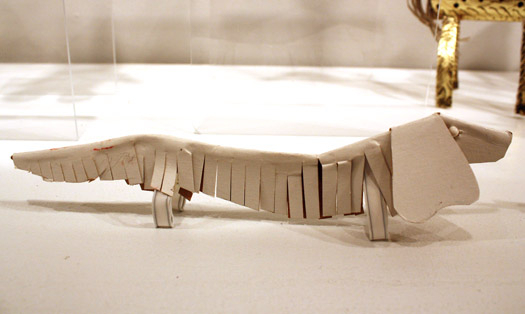 There he provided design services for companies all over the world, while indulging his passions for history, art, architecture and food. 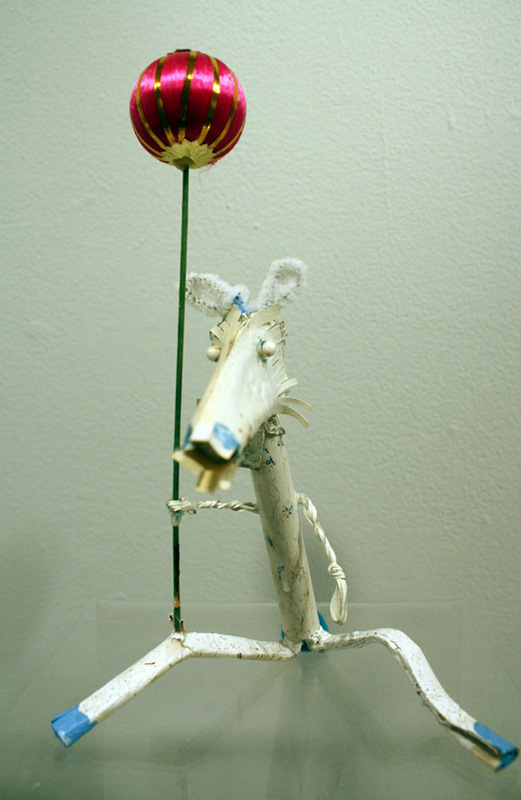 Joel and Eleanor spent many summers in Union, moving to mid-coast Maine permanently in 1999. 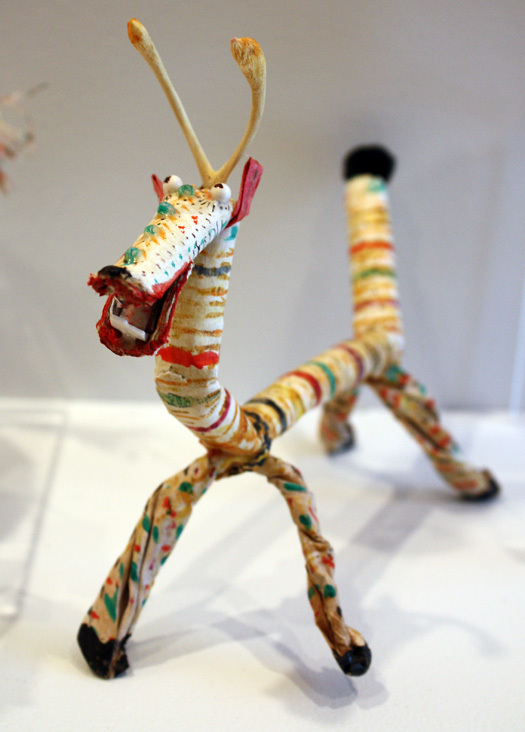 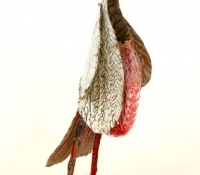 At the age of 80, he began to create his Recycled Menagerie. 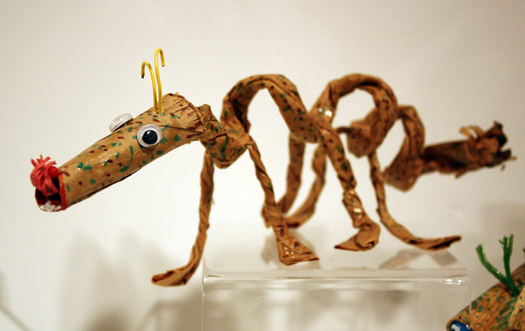 He presented his creatures to children in schools and museums, to encourage them to create with materials they might throw away.